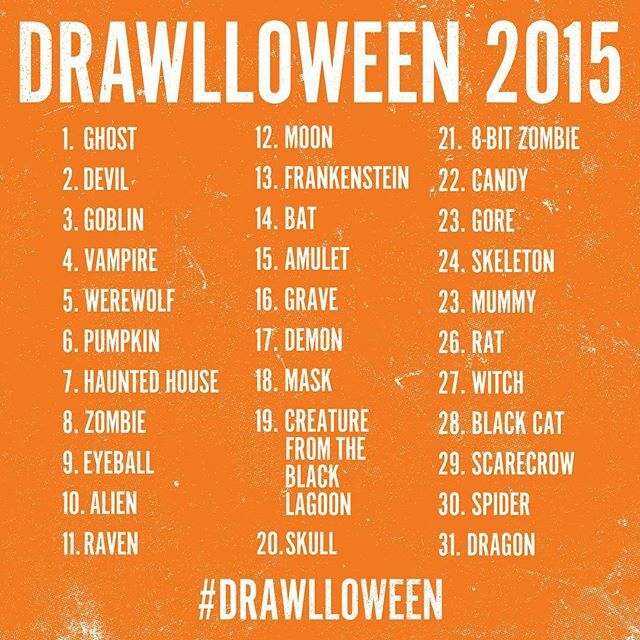 Home » Sketchbook » I’m Doin’ Drawlloween 2015! 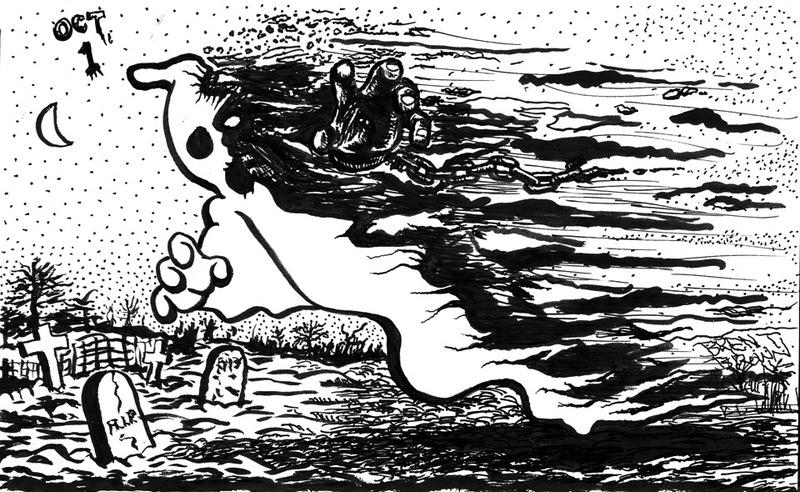 I need to get back to drawing by hand and using ink and using my sketchbooks and I love to draw creepy stuff and Halloween is my favorite holiday and so this all culminates into me using the #drawlloween social media prompt to make me DO all this stuff!. Here is the calendar I will be following (there seems to be more than one, but I’m picking this one and sticking to it). I will post a new one each day on my Facebook, Twitter, Instagram, Deviant Art, and maybe Tumbler pages too, but I’m also going to go back in time and put them here too, next year, to make it look like I actually updated this blog on a regular basis before 2016!